Monday, November 05, 2018: If you don’t like the weather just ... Talking imminent wind farms. Monday, November 05, 2018: If you don’t like the weather just wait day. I hate being that trite but when I’m busy triteness just comes so easily. Waiting until tomorrow is also optimistic when you look out there and see what I’m seeing: a once-again fully riled ocean, thanks to SCA east winds and passages of cold rain. Again, it should all be gone in a flash (of possible lightning) by tomorrow, as a speedy. ocean-calming, better-weather sky process begins -- though surf calmness will take a solid 48 hours. It should be weatherly noted that this weekend could see the first solid sub-freezing nighttime air temps, mainly mainland. Yes, we’ve had a couple frosty night but those were barely down to 32 degrees. We could see mid-20s in the Pines Saturday night or so. I’m not sure it will be cold enough to mandate the turning off of LBI outside showers/faucets. I hold out as long as I can before pulling the plug on the outside water, needing the flow to rinse down my truck – and rinse off clams -- after Holgate treks. 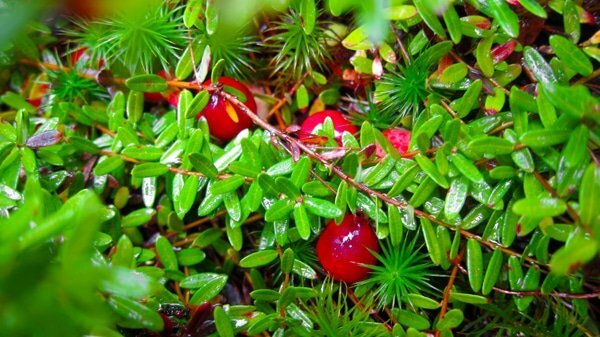 The anticipated freeze means I have to get out and hand-pick a load of redness from my feral cranberry bog. For whatever reason, Pinelands bogs get much colder than other nearby places. I'll video tape a bit of that harvesty action. IT’S REALLY IN THE WIND: Dismal day are good days to pass on data, therefore I want to advise coastal residents and anglers about the New Jersey Wind Energy Area, shortened to NJ WEA. As the name thoroughly suggests, this is the assigned oceanic zone where any arriving wind farming will be permitted. Don’t balk at the notion of wind energy soon splashing down. With the recent announcement that an accomplished European wind-power company will now take the lead here in NJ, the skepticism over wind farms ever arriving instantly morphs into something close to an assuredness they’re a’comin’. In fact, another highly-skilled renewable power company out of San Diego is also rushing this way to get in on the Garden State energy action. As our land-based gardens fall off the overbuilt map, we could easily become the garden state of wind farms. In fact, Gov. Phil Murphy promises NJ will be powered exclusively by clean fuel sources by 2050. Offshore wind energy will lead the way by a long shot. As to a more exact date, I’ll bet the wind farm we’ll be seeing turbines by 2020. After that, it’ll be Katy bar the door, as the profits begin to be realized, as will tasty subsidies at state and federal levels. 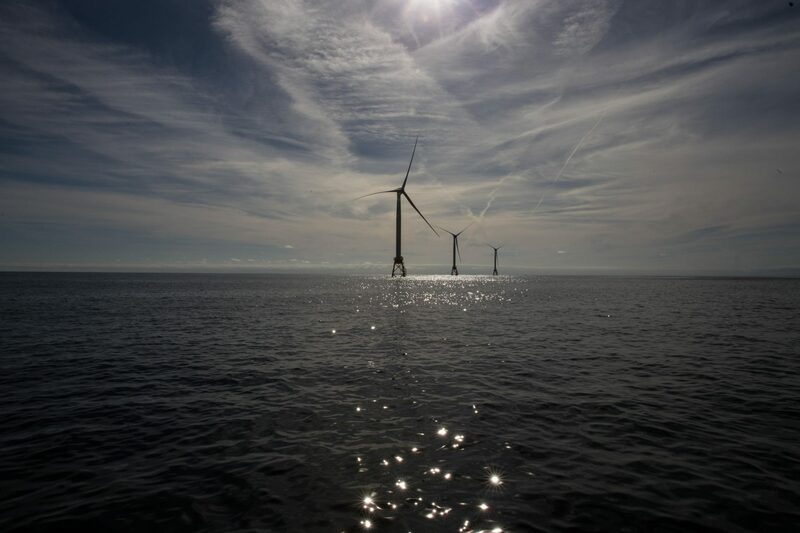 "Offshore wind turbines are being used by a number of countries to harness the energy of strong, consistent winds that are found over the oceans. In the United States, roughly 50% of the nation’s total population lives in coastal areas to include counties directly on the shoreline or counties that drain to coastal watersheds. Energy costs and demands can be high, and land-based renewable energy resources are often limited in coastal areas. Abundant offshore wind resources have the potential to supply immense quantities of renewable energy to major U.S. coastal cities, such as New York City, Boston, and Los Angeles." With the arrival of wind farms in mind, let it be known that the NJ WEA covers about 344,000 acres of relatively flat and sandy ocean bottom, east of our coastline. While much mention is being made of a targeted wind-farm area just southeast of Little Egg Inlet, I have it on good authority that a portion of the NJ WEA off Barnegat Inlet also stands out on the profitability radar, meaning a pressing need for power is in-place on nearby shores. This makes the off-BL venue ideal, customer-wise. Onward to some seemingly random data -- which is, in fact, highly meaningful in fishing terms. The bottom water temperatures throughout much of the NJ WEA seasonally ranges from 36 to and 74 degrees. That wide temp range means very few fish species are permanent residents. The main year ‘round locals are crustaceans and polychaetas (worms). Studies also show that sand shrimp, sand dollars, and dwarf warty sea slugs (below) are numerical dominants (96%) among the 24 taxa of epibenthic (surface) fauna. From this, a knee-jerk extrapolation suggests that not only would wind farms have little negative effect on the established bottom, polychaetae-dominated ecosystem but could very well spur a diversification process, via opportunistic piscatorial populations arriving seasonally. Regular warmwater residency would surely be taken up by the likes of black sea bass and tautog. Always drawn to structure are warmwater schools of porgies, triggerfish, sheepsheads and even mahi. 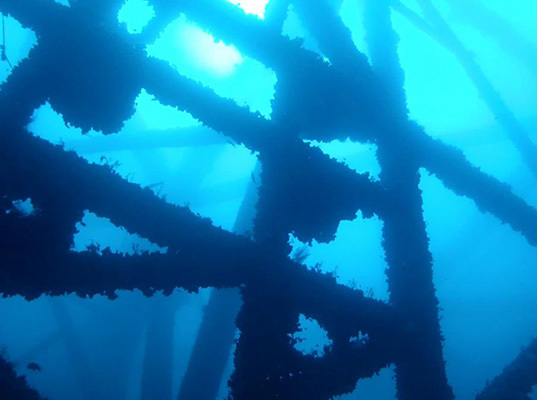 There is also a proven tendency for flatfish to gather along the periphery of structure, forming what artificial reef guru Bill Figley described as a surrounding halo of biological activity. While it might sound like I’m sold on wind farms as boons to fishing, I’m merely window shopping. I know I’ll instantly catch hell from birders who are convinced that wind turbines will be the death of all avian lifeforms. While I’ve seen both the hyped up and more scientific data on bird strikes related to wind power structures, I’m far more tuned into ongoing efforts to greatly eliminate the threat. In fact, Europe is having very decent success using an assortment of diversion devices to alert birds to something huge looming up ahead. I’ll be writing more on the exact bird-friendly mechanisms as wind farms start to grow. Back to the angling, it’s remarkable the emphasis state and federal governments are already placing on assurances that fishing will not only be allowed near wind farms but encouraged. Note: As is my custom, I’ve quickly befriended some behind-the-scenes folks close to the arriving European arrival of wind farmers. In fact, they’ve gotten me fired up over the “amazing fishing” that can arise “almost overnight” with the turbines. Hey, look at how just lobster/crab pots can lead to an angling mecca. Again, the proof is in the placing. I see no reason not to plant a couple farms and see what fish salute – or what birds bite the dust. Bigtime decision can then be made accordingly. Important: BOEM will hold the next New York Bight Task Force Meeting on November 28, 2018 in New York City at the Hotel Pennsylvania. Meeting materials and announcements, as they are developed, will be provided on this website. This human animal has been sentenced ... Wondering if his jail mates will serve him some street justice. ted.nichols@dep.nj.gov. In order to obtain any previous location data from a geolocator or backpack transmitter, we need to get the device in hand. The information obtained from these marking units is vital to the success of the study. Further, if not damaged, the devices can be reused on new birds. Hunters who want to retain one of the marking devices as a "keepsake" will be provided with a "dummy" unit which will be a casing of the real device. 2. Sight record of live bird with tarsal band: If you see a red leg bands in the field, please report the observation to the Patuxent Wildlife Research Center Bird Banding Laboratory. 3. Bird with leg band only, shot or found dead: Report to Bird Banding Lab at REPORTBAND.GOV.